Development is an inevitable phenomenon and is always welcomed in every phase of the growth of a nation. We experience advancing smart phones, unimaginable space exploration, instant transportation and much exhilarating contrivances due to development. But, how did we perceive development? It was inaugurated through a process of bloodshed, nationalism and ever fighting perseverance called as “independence”. The initiative for the jovial life that we are living today took place through a series of protests which resulted in the end of the British legacy in India. This struggle endured for a span of 90 years. The spark of ignition that regulated the sight of independence was the revolt of 1857, where the sepoys of the British east India Company in the presidency of Bengal revolted against their British officers. Simultaneous to the failure of the revolt of 1857, one also saw the fall in the trade of the East India Company. This boosted a feeling of enthusiasm that succeeded the revolt of 1857 and led to the establishment of the Indian National Congress. The row in row triumph of the nationalists faced a great pitfall by the Jallianwala Bagh Massacre. The massacre cost the lives of thousands of people which sparked the fire among the Indian people, created a sense of chauvinism, collaborated successfully for the Non-Cooperation Movement and the Civil Disobedience movement. 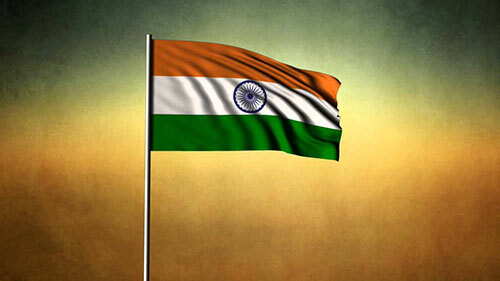 Ultimately, after the Quit India Movement, India was promulgated as an “INDEPENDENT COUNTRY”! Six decades after independence, had brought a lot of perplexing changes. One of them is the nation’s Information and Technology service improvement. A trend that started two decades ago is now in peak. The prologue of the communication system in India is expanded to multifaceted smart phones and attracted foreign IT firms to India. The acquisition of expertise in information technology has led to the creation of thousands of job opportunities, which in turn increased the GDP. One of the signs that show development in the India is the cashless economy established. The barter system which we had once is now transformed to transactions in the digital world; such enhancement could ameliorate the economy of the country. India’s first step to success was procuring independence. Later we entrenched sturdy agriculture. Then, we stood raised in the technology and the military field. Now, we, the most populated country are expertised in every domain. Our country has developed under the leadership of several influential gallants who developed the future that we are in. I am proud to be a child of Bharat Matha with roaring legends. In fact, we all must be proud to be an ‘INDIAN’!